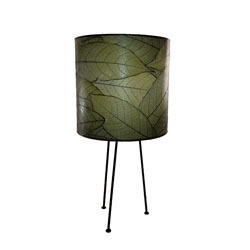 The simple, round, barrel shape of the Metal Tripod Drum Lamp lends itself to the ever classic mid-century modern period. Clean lines also bring greater focus to the soft leaf wrap around its main diffusor. 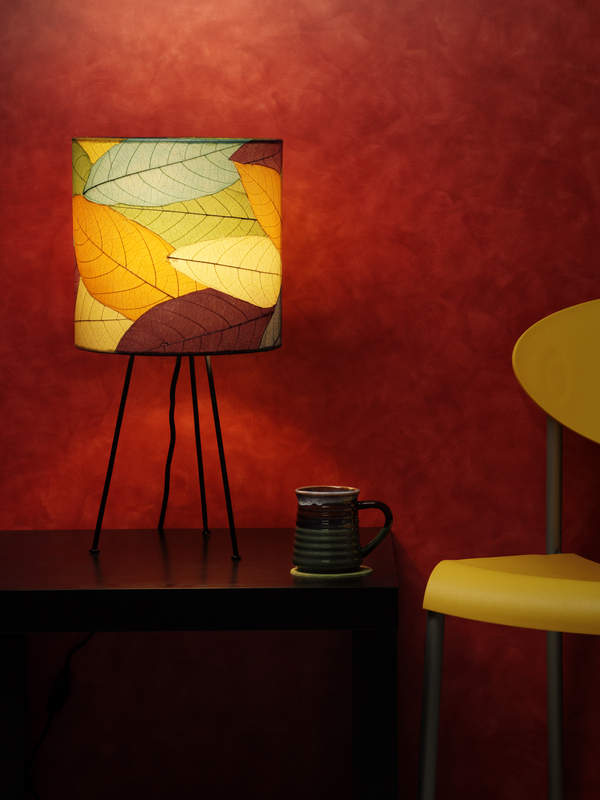 This small but stylish piece adds both design and function to its surroundings. 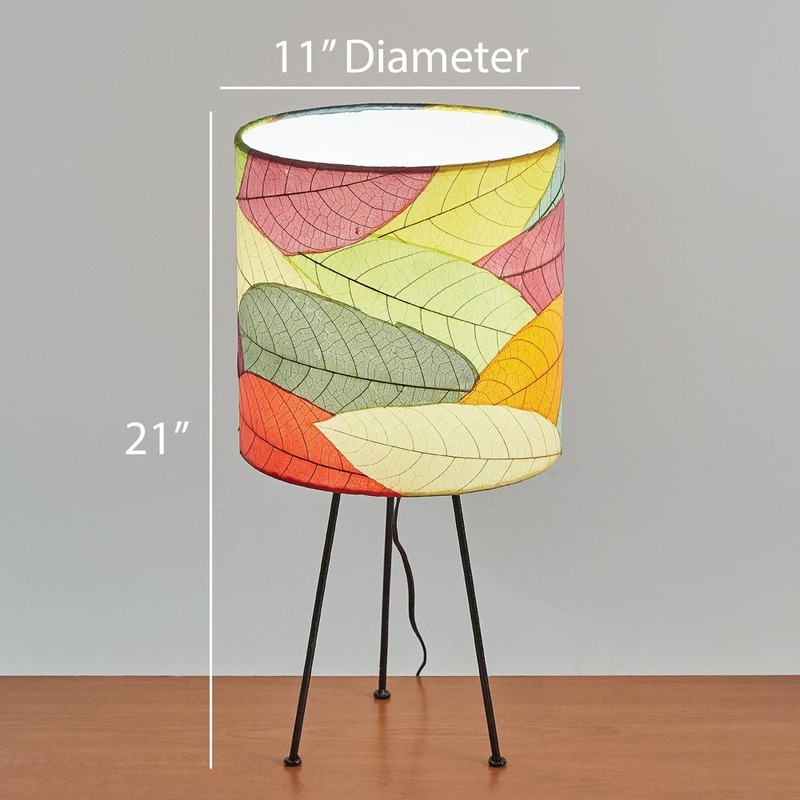 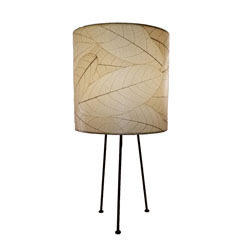 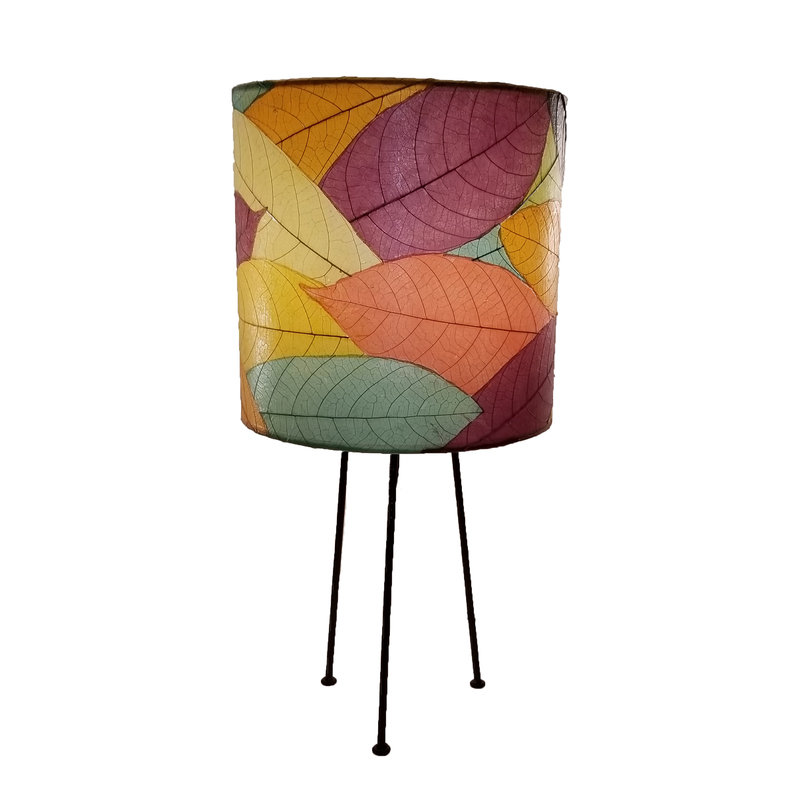 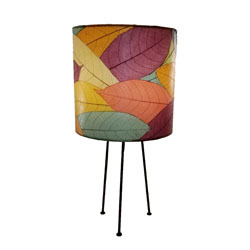 Features large fossilized cocoa leaves that are handplaced on a standard UL lamp backing and then laminated, creating shade of the lamp. 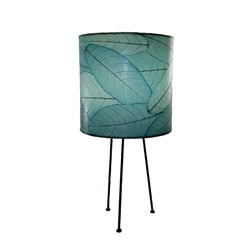 The shade is supported by a powder coated, wrought iron, tripod stand.